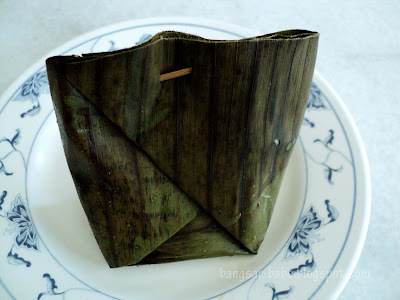 Of all the Nyonya kuihs available, one of my favourites is the kuih bongkong, which (if I’m not mistaken) is only available in Malacca. Since rif’s father goes to Malacca quite often, he usually gets me some kuih bongkong. It is made fresh every day, so it’s best to eat this immediately. This is what it looks like, wrapped up. Kuih Bongkong is made with fragrant gula melaka, and has a smooth and silky texture – almost like the texture of a bean curd. Some find it a tad sweet, because of the liberal amount of gula Melaka, but I like it just fine. One is never enough; I always want two or three. If you happen to be in Malacca, go look for it! Eee. It looks quite squidgey n gross tho. i think i had this before, super sinfully sweet but very yums! And this one chose to close while we were there. Aiks. thank god its not called kuih bong..if not i wonder what the contents would be..haha. 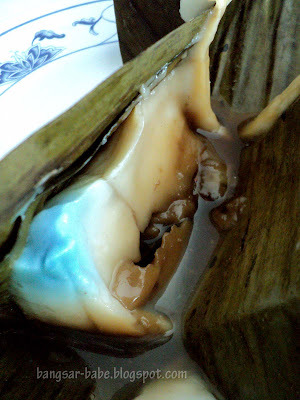 is that gula melaka oozing out? thats alot! when is the nyonya kuih start to sell ? ?